Our immaculate wedding limos and the most professional drivers in the business are ready to make your special day spectacular. Everyone wants to make their wedding day perfect, no matter how big, small, how extravagant or how simple. Each couple wants their special day to hold a reflection of their personalities and to be a memorable celebration with family and friends. 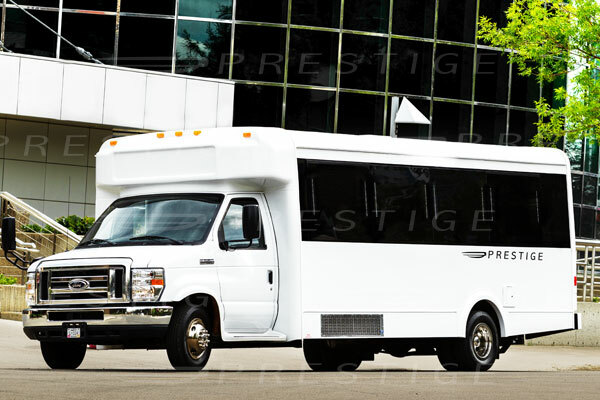 At Prestige, we understand that every couple is unique in their requirements and budget. Our goal is to help you select the right vehicles and wedding package for your needs. Our sedans and SUV's are ideal for picking up your guests at the airport or transporting them from the wedding venue to the reception. 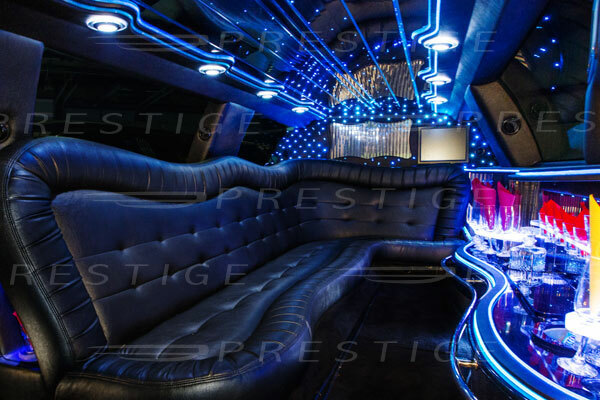 Our stretch limousines provide an exceptional experience for your bridal party from the wedding venue to the reception and everything in between. 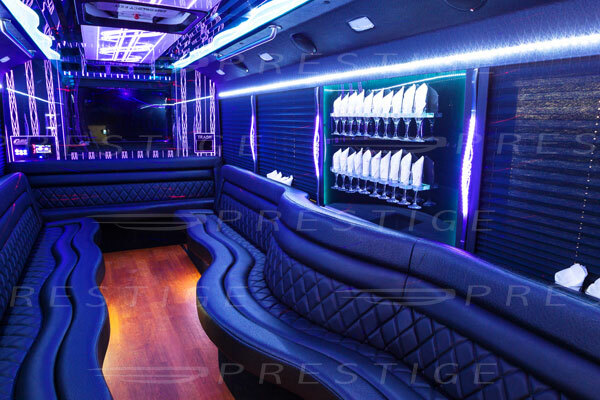 Our limo coaches provide a unique experience for your bridal party from the wedding venue to the reception and everything in between. Our coaches and vans provide an option for transporting larger numbers of guests to and from your wedding venue to your reception. 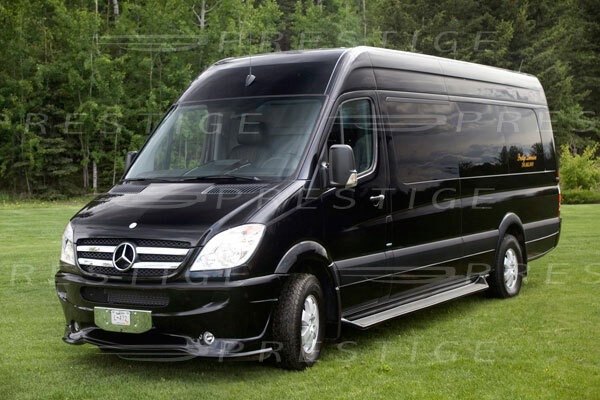 To ensure your wedding limo choice is perfect for your wedding we encourage private limo viewings of our limousine fleet for all brides and grooms. 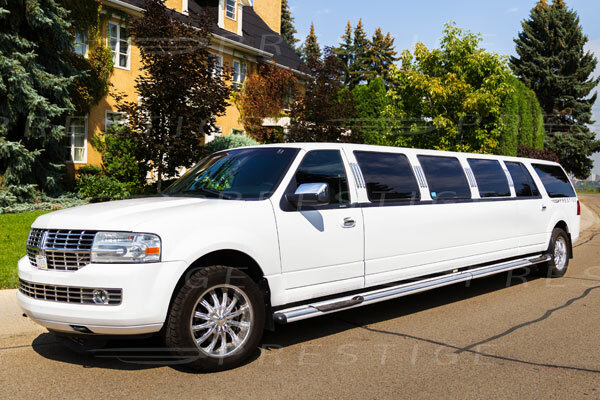 "As a wedding planner in Edmonton I always recommend Prestige Limousine. The team never lets me down. The drivers have always been early and very kind. I know that the team at Prestige make my brides and grooms feel special and safe on their big day! Highly Recommend." 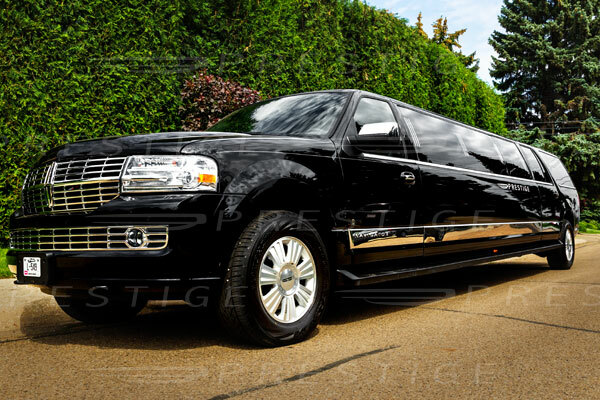 Each one of our limousines is licensed and comes stocked with 2 FREE bottles of champagne for your wedding. Please note that everyone in the limo must be over the age of 18. Our chauffeurs have been to just about all of the photo shoot locations in and around the city. You are free to stop as many times as you like to take pictures during you limo booking. Heading out on your honeymoon after your wedding? Our sedans and SUVs are ready to get you to the airport refreshed and on time. 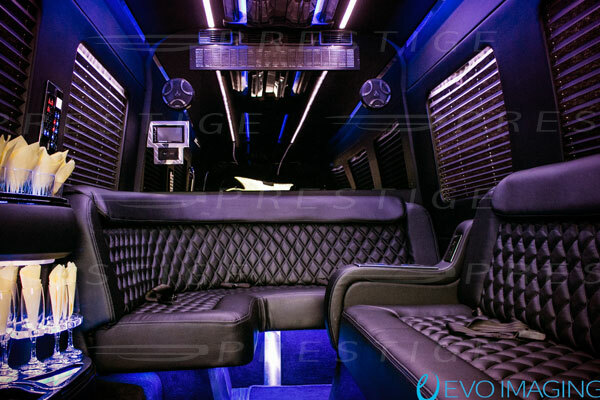 We are the only limousine company that doesn’t automatically add a mandatory gratuity to your limousine package. "We had used Prestige for my wedding and the service was great right from when we booked. We found the staff to be so professional both over the phone, in person and when dealing with the driver that day. I had some reservations about our rural pickup locations but the staff ensured me that they had reviewed all with the drivers ahead of time. They were right on with no issues for directions. The pricing was great and the service was top notch!" Call us at 780.463.5000 to discuss your wedding date and the options available. Or reservation desk is open 24 hours a day 7 days a week. Whether your wedding is in-town or out-of-town we'll put together a custom transportation plan that fits your wedding needs.